3FM invites you to the BIGGEST EVER CHRISTMAS PARTY on Friday 22nd December!! We are taking over the Royal Hall at the Villa Marina and WE want YOU to be there. 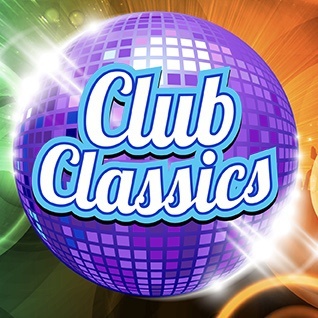 We'll be celebrating the 80's with LIVE Music and fantastic prizes including YOUR chance to WIN £1000 in CASH in our "Grab A Grand"
There's a full laser light show courtesy of ELS and Dave Cretney will be joining us to celebrate the Cave Disco Reunion. 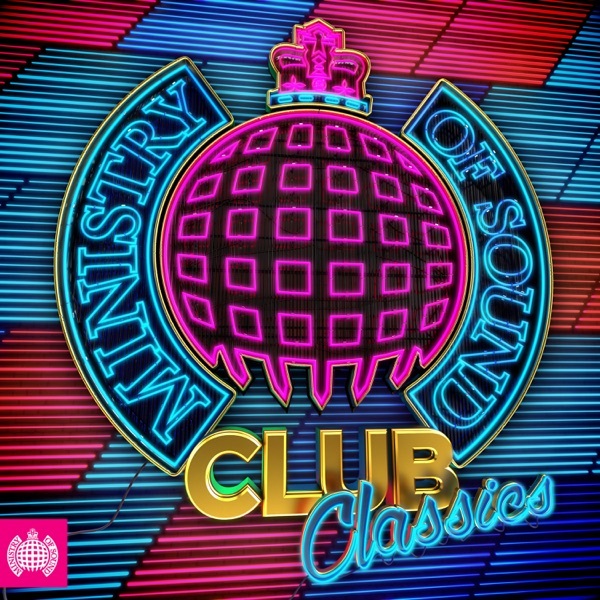 All of this for only £5 advance booking HERE or £7.50 on the door! Get your ticket NOW from the Villa Box Office. 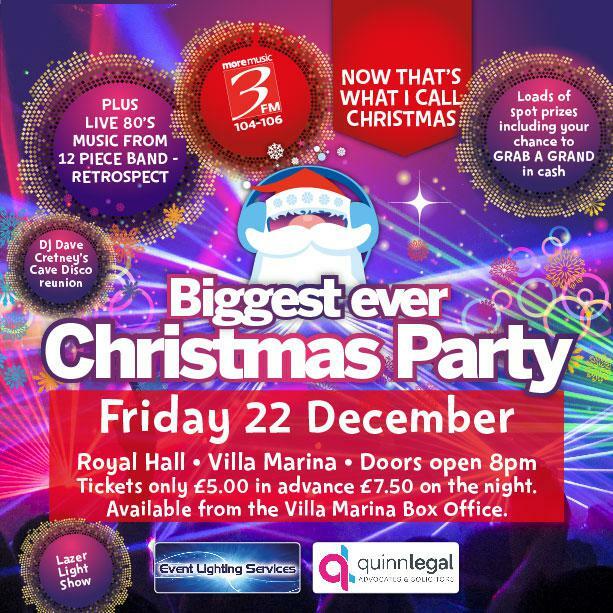 The BIGGEST EVER CHRISTMAS PARTY on Friday 22nd December, brought to you by Quinn Legal, ELS and More Music 3FM!